Traveling from Japan to South Korea, but unable to bear the high expense involved with air fares? Here is a solution not only for the ones traveling on budget, but also for the people who love to travel by sea. Many travelers often choose to travel via ferry, not only because of the close proximity between the countries, but because of the competitive ticket prices. Ferries take a little longer, but there’s more amenities on longer trips, like hot french fries and sandwich vending machines and karaoke. Panstar Cruise operates the line between Osaka and Busan. The ferry doesn’t operate everyday (check ferry schedule) and usually takes around 19 hours of travel time. Surely it takes a lot of time compared to flying, but the whole process feels a lot less stressful, without the hassle of catching an international flight. We had a difficult time trying to purchase our tickets by phone. 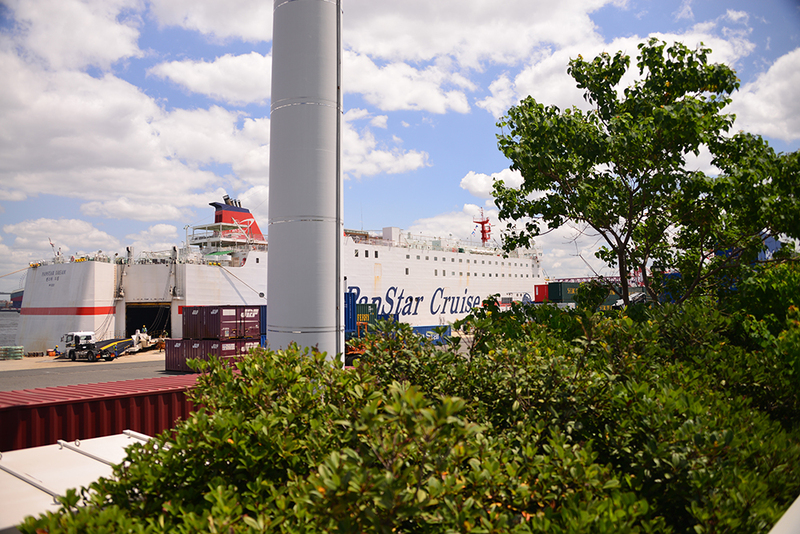 The local Japan Panstar Cruise operators spoke only Japanese or Korean and very little English. We didn’t find any tickets available through aferry and the official Panstar Cruise website was only in Japanese. We managed to get help from the manager of the hotel we were staying in as he translated the reservation form for us and helped us make our booking. If you book your tickets through the official website, note that after you fill in the reservation form you should receive a confirmation e-mail with instruction about the payment. We didn’t receive any email from the company so we proceeded to the ferry terminal on the day of the departure and after quoting our booking number we got our tickets. To get to the Osaka International Ferry Terminal (Nanko) you should board the Subway Chuo Line (Green Line) to Cosmosquare station (C11). If you travel from JR Shin-Osaka Station (ShinKansen Line) change trains to Subway Midosuji Line (Red Line) and travel to Hommachi Station (M18) from where you can board the Chuo Line and travel to Cosmosquare Station (C11). The journey to Cosmosquare station takes around 40 minutes. 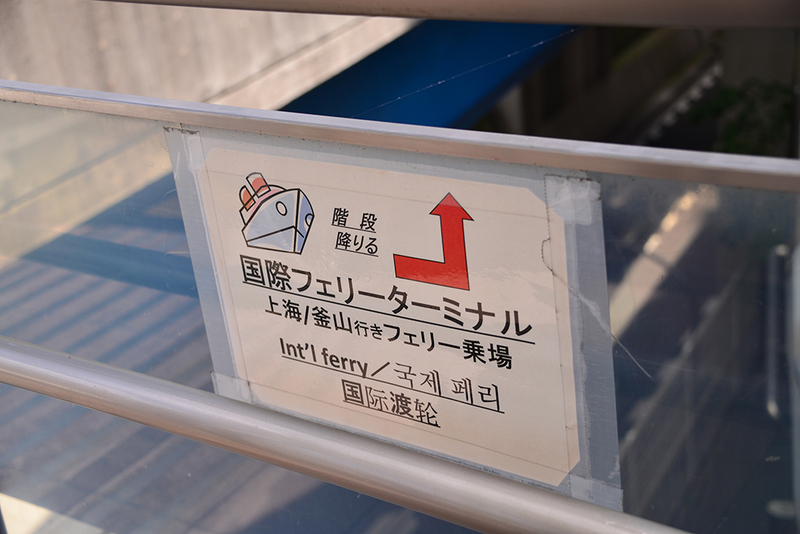 There is a free shuttle bus available from the the station to Osaka International Ferry Terminal. But it is easier to walk as there are many road signs pointing the way, since finding the timetable for the shuttle bus is difficult. There are no ATMs or any shops or restaurants at the terminal so make sure to buy your supplies in advance. You don’t need to stop or change your itinerary as there is a big shop on your way to the terminal. The departure procedure is similar to the one at the airport. You are advised to be at the terminal at least two hours before your departure time. How much was the ferry from Busan to Osaka? I am traveling from Korea and going to Busan for a second time. I go to Tokyo tomorrow but I may want to return again before heading back to the US in January. I wanted to see if the ferry price is feasible for another Japan trip. Can you tell me the price for one individual? I realize your post is fairly old but hoping you can recall. Hi Terry, we purchased our tickets quite late and they were priced at ¥13,000 each. This fare included buffet dinner and breakfast. If you reserve your tickets in advance you may find better deals and promotions.